Let me tell you why you’re here. You’re here because you know something. What you know you can’t explain, but you feel it. 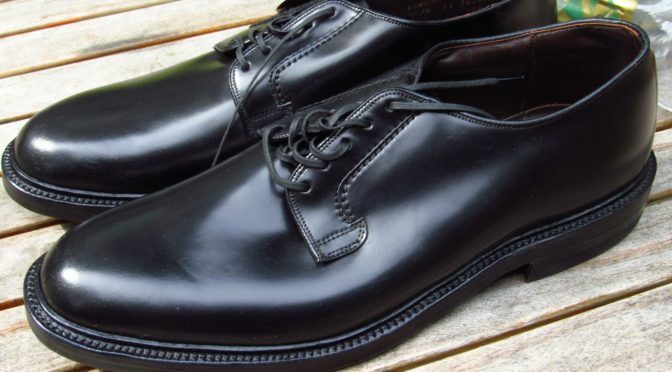 You’ve felt it much of your adult life, that there’s something wrong with modern shoes. That there must be another way. That maybe vintage is the way to go. Did you get an email today? For a sale. A sale on shoes. The shoes looked good. Expertly photographed. 35% off seems like a deal. But later you searched eBay for a pair in your size. The pairs there had no free shipping. No returns. Blurry photos. Sort of risky. What to do? One of these shopping experiences has a future, and one of them does not. It’s your choice. 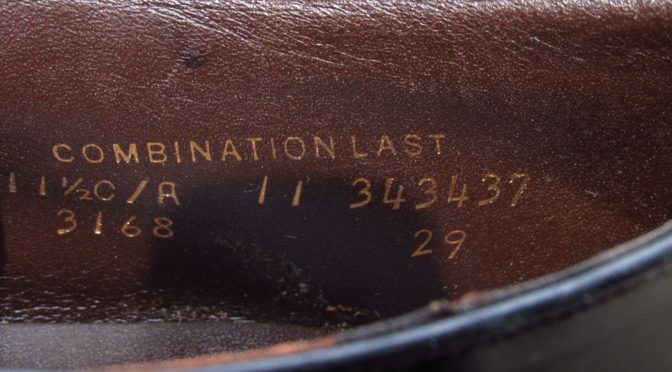 When it comes to vintage shoes, I took the red pill. And when I talk about vintage shoes, I am referring to the ones from the 60s, 70s or 80s, that are moderately priced, of good quality and readily available on eBay. Shoes I can wear any day. 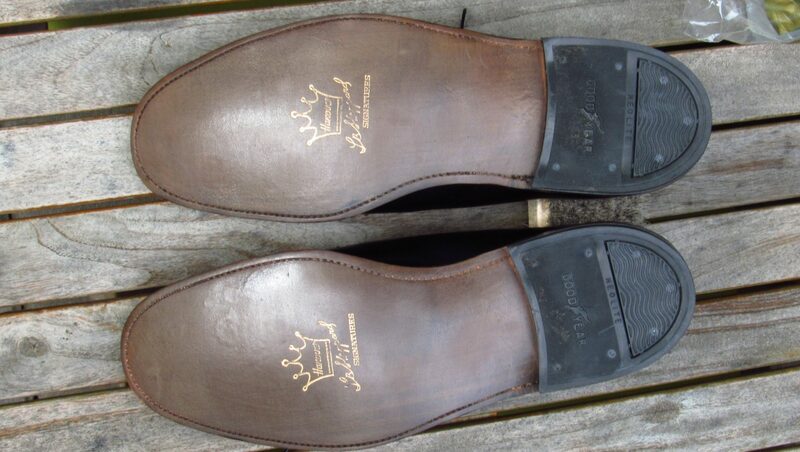 Even if I could afford a pair of vintage Edwin Clapp shoes, I doubt I would wear them because they are museum quality. And my shoe museum is full. 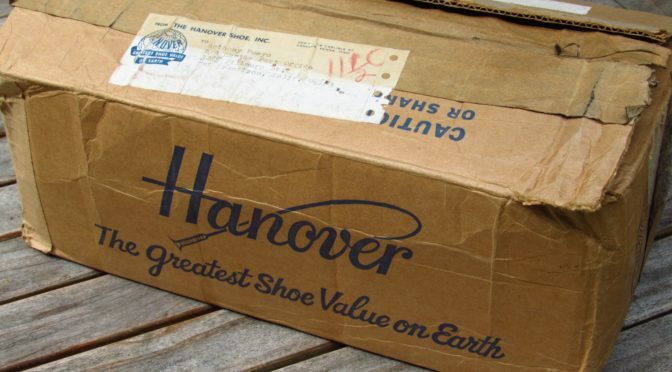 Hanover shoes fall into the wearable, affordable, vintage category. And this is a special pair of Hanover shoes. They came with its original shipping box and packing material. Rare. The original owner of these shoes opened the box then put them on the shelf. I assume he tried them on. But maybe not. 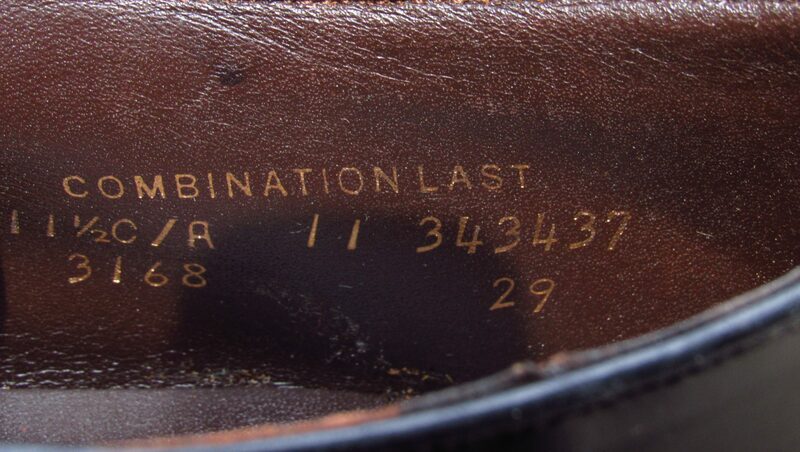 How old are the shoes? There was a stamped postage label that was very faint. I took a number of photos of it and after applying a number of filters, I made out “Apr 24”. The year was illegible. 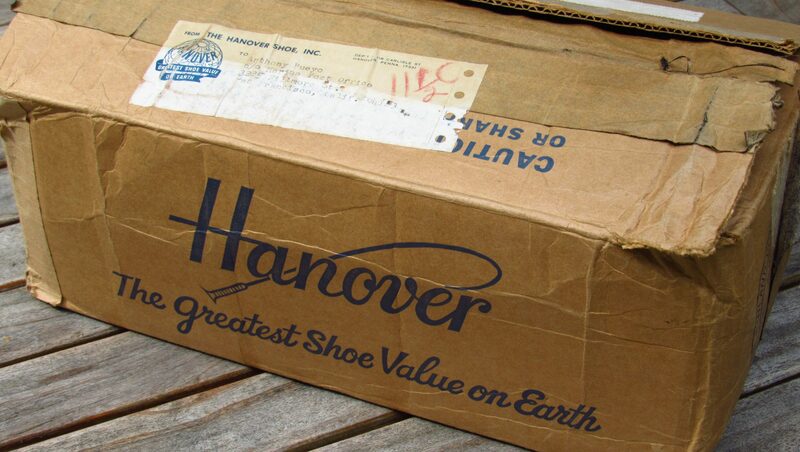 The address state was “Calif.” and the Hanover return state was “Penna.”. The inside instruction address lists “PA”. According to my friends at Wikipedia, two-character state abbreviation was started in 1963. So I assume the shoes are from the late 1960s or early 70s. The US has never adopted new standards quickly. I buy my Coca-Cola in liters but still buy my milk in gallons. Of course. 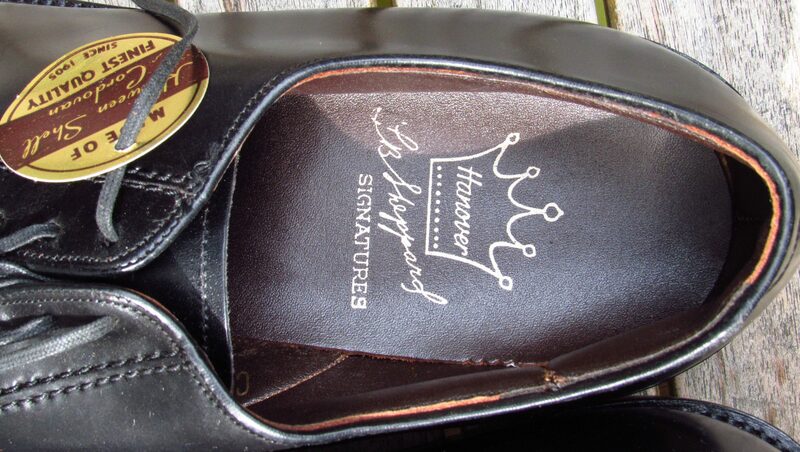 LB Sheppard was Hanover’s premium line of shoes and this pair is fully leather lined with double leather soles. 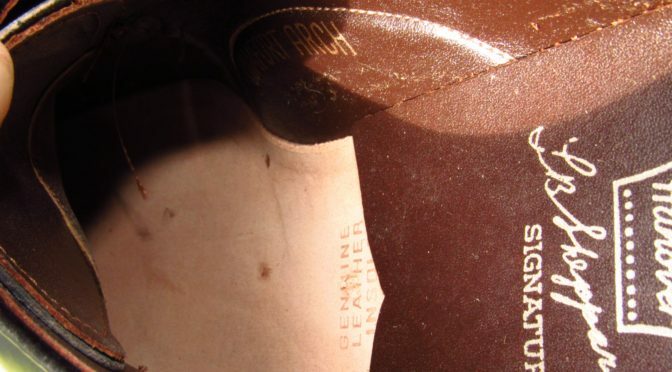 These shoes are obviously made with Horween Shell Cordovan. 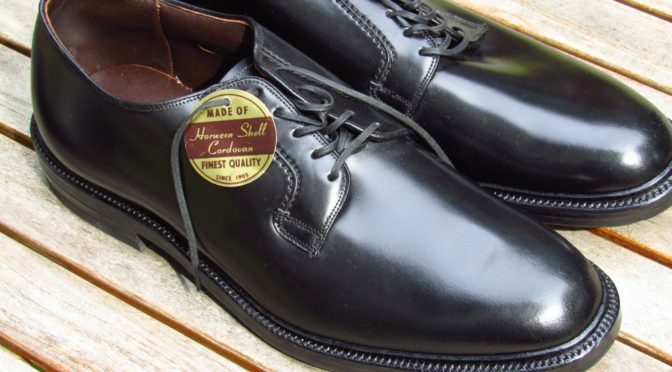 The constuction is more like Alden than Florsheim or Allen Edmonds. Nice shoes. My dilemma is whether to wear them or not. 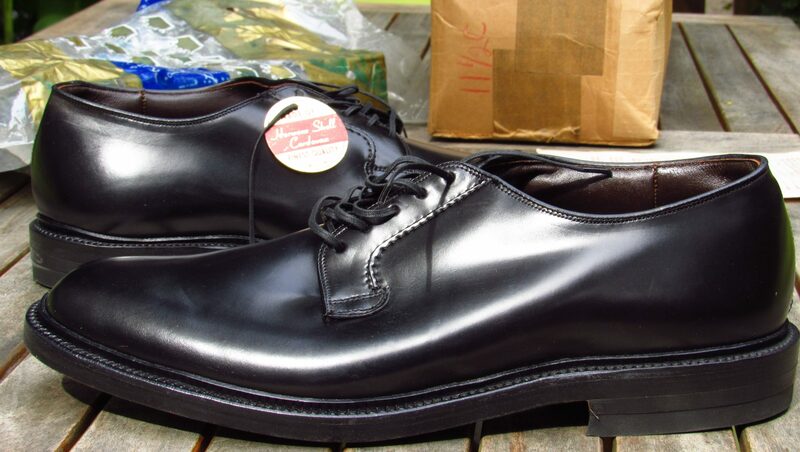 Their pristine condition makes it hard for me to imagine scuffing them up. But if I don’t wear them then I am just like the original owner. Which I don’t understand. Why buy shoes and not wear them? I am stuck on this decision. Soon I will hear another email ping. That is the sound of inevitability. Another sale on shoes. But I have already made my choice. 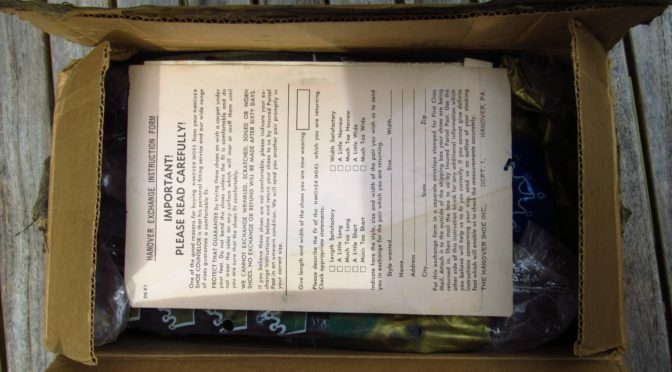 The rest of this article is a bit of an unboxing video. But with pictures. Enjoy. That box is a time capsule. Wonderful. I think you answered your own question about wearing these beauties. These are not a museum pair and I think they should be worn. If you found a 1957 Chevy in a barn with 0 miles, would you refuse to drive it? Are are Hanover cordovan shoes in the same time also LB Sheppards? 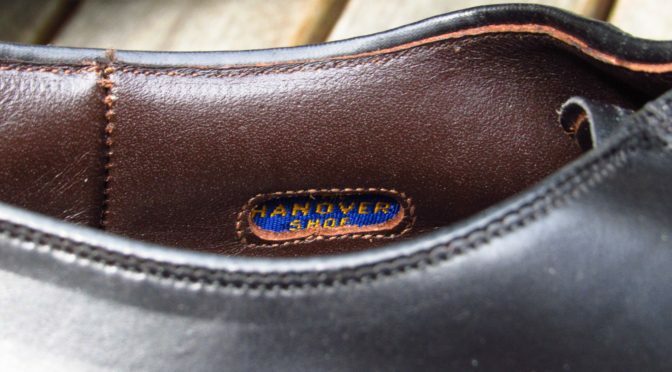 Are ALL hanover codovan shoes also LB Sheppards model ? 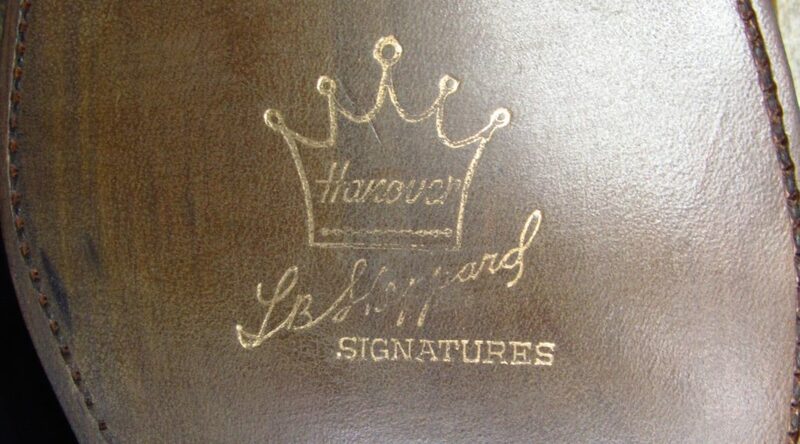 0r are there also Hanover cordovans, that are other models? 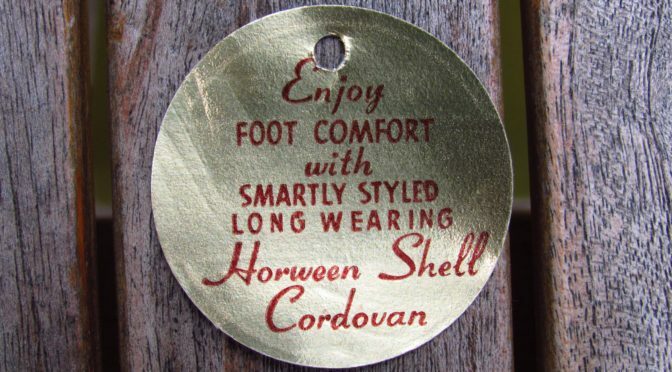 There is few information about the Hanovers around..
No, some Shell Cordovan Hanover shoes were labeled “Imperial” or “MasterFlex”. Most of Shell Cordovan shoes were labelled LB Sheppard though. Wow these are true beauties! 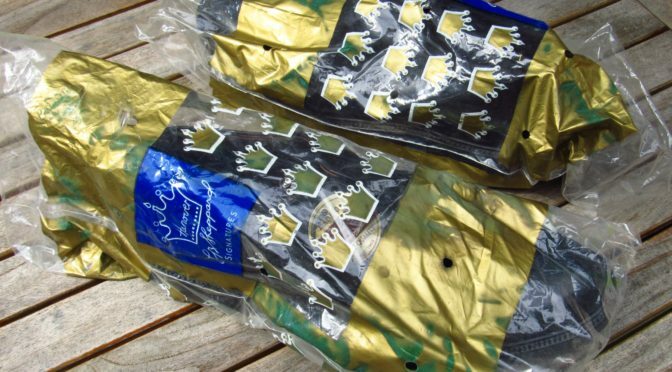 I just picked up a similar pair on eBay…. Brand new! They are burgundy however, and had no creases. In trying them on and walking around the house I’ve put some creases into them. They look just like these. David, thank you for the reply; another question; is about the 2040; is it C.Grain or shell? I find Hanover shoes fit true to size. So a D would likely be too narrow if you are an E.
Just got a pair of these yesterday in cordovan color you showed them on your page of shoes for sale size 8D for $129. After some brushing and a couple of coats of Venetian shoe cream they are almost like new. I have started using Venetian shoe cream and Venetian leather balm. I like these now better than the Renovateur. Less than half the price as well. I prefer Venetian Shoe Cream over Renovateur too. But its a good product.